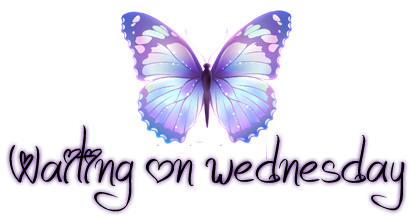 Waiting on Wednesday is a weekly meme hosted by Jill at Breaking the Spine. It is a chance to share those new releases were are super anxious to get our hands on and read. 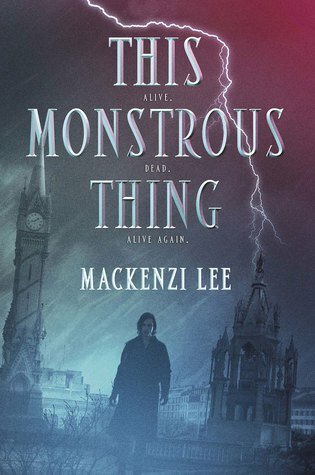 I know nothing about the author of this weeks pick but while scrolling through Goodreads one day I saw this gorgeous cover and clicked on it. The synopsis drew me right in. I'm keeping my fingers crossed, this turns out to be more than just a pretty cover and promising description. I do have a copy of it so, I'll let you know how it turns out. What about you? Sound like something you might like as well? Yeah, I downloaded this one off of EW after you told me you were loving it. :) I'm excited to read it! I;m so excited you picked it up Nick, can't wait to see what you think about it. It does have a great cover, I agree! I do LOVE that cover and it sounds interesting - Great pick! I have this one too. I have kind of high expectations for it. I really hope it's great, and for you too! Nice pick! I finished it yesterday and I really loved it! I'm hoping you do as well. Steampunk...yes this does sound quite good! It was fabulous! I loved the steampunk aspect way more than I anticipated. It was! I'm so excited for everyone else to read it now. It took me by surprise with how much I liked it. Ohhh steampunk. Not my thing, but I hope you'll enjoy, nonetheless! Oh yes, I want to read this too. I'm hoping it's really good! Glad you want to read this as well Sandra, I hope you love it! I saw this one at the ALA conference but all the ARCs were gone. I was a bit bummed but I will definitely check out your review. I'm really curious about this retelling. Bummer that they were all gone. Frankenstein? Yes, please! I'll add it to my list! Yay! I hope you like it! Oh wow, sounds compelling! What was the book about the boy who lived up in a clock...it was made into a movie? Your review just reminded me of that! Oh I don't know but it sounds good! Oh this does sound really good. I hope you enjoy it! Ooo a very haunting cover. Hope it turns out to be a good one! I agree, it has a great cover! It's like Frankenstein, sign me up! Yep, a lot like it. Thanks! It was actually really good and not scary at all. I've been curious about this one - looking forward to your thoughts! You are right, that cover and blurb are awesome! I am going to have to add this one too. 5 Stars-This book was amazing, hard to put down and completely captivating. It will stick with me long after finishing it. I would recommend it to everyone. 4 Stars-This book was pretty fabulous and I would definitely recommend it to lovers of the genre. 3 Stars-This book was good, maybe not a favorite but worth the read. 2 Stars-This book could have been better, still needs some work and I more than likely wouldn't recommend it. 1 Star-This book for whatever reason, just wasn't for me. I am a full time mom and avid reader. When I am not playing dress up or chasing down lost toys and wrestling with the never ending pile of laundry, I read. Actually, I read whenever I get the chance. I love many different genres and would have a hard time choosing just one favorite book. And yes I really am obsessed with books, in fact I might be a book hoarder. Thankfully I have a Kindle and no one is the wiser to my vastly growing collection of books. WoW Pick of the Week! Copyright 2013. Banner by Lily and artwork provided by http://mouritsada-stock.deviantart.com/ . Ethereal theme. Theme images by Jason Morrow. Powered by Blogger.